Life of an Educator - Dr. Justin Tarte: Which island are you on? I just finished reading The Learning Leader, by Douglas R. Reeves, as a part of my doctoral studies. I found the book to be extremely well written, as well as extremely valuable for anyone looking to gain a more in-depth understanding of school improvement. As districts and schools look to both district and building leaders, it is difficult not to notice the "Islands of Excellence," as well as the islands of weakness within our districts and buildings. We all know where the "Islands of Excellence" are, and we all know which educators are on the "Islands of Excellence." On the flip side, we also know where and who are on the islands of weakness. The difficult task as district and building leaders is to identify ways to expand the "Islands of Excellence," while simultaneously shrinking the islands of weakness. When speaking with district and building leaders the most difficult part of expanding the "Islands of Excellence" always comes back to exposure. We all know that when we see great things happening, our first response is to share and spread the good word. This can have both positive and negative effects on a district and building staff. On the positive side, sharing and collaborating with other educators is probably the most beneficial way to improve both a district and building. You would be hard pressed to find a more effective and powerful means to school improvement that does not center around sharing and collaboration. On the negative side, when an "Island of Excellence" gets too much exposure and attention, there will be educators who will form an alliance against this island purely because they feel threatened or left out. At times we have to resist the urge to share ALL the success stories of the "Islands of Excellence," even though we do this with the best intentions. District and building leaders have difficult jobs, and this is just one more example of the realities we see in our districts and buildings. 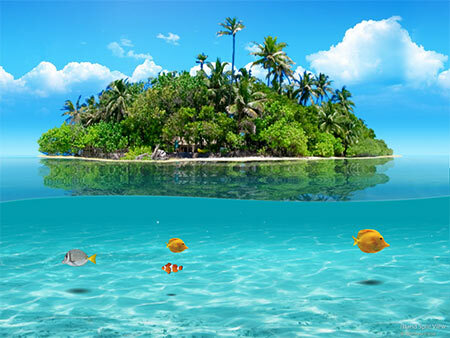 So, whether you are a teacher, a building level administrator, or a district level administrator...take some time to reflect upon how you treat and handle your "Islands of Excellence" and your weak islands. Additionally, think about which island you are on. If you are on an "Island of Excellence," then consider some ways to attract some new members who could increase the size of your island, or even perhaps start their own "Island of Excellence." I believe 100% in self-reflection, and consequently if you think you could possibly be a member of a not so excellent island, then perhaps it is time to take a swim, and expand your horizons. There is one thing I can guarantee...any "Island of Excellence" would be more than happy to accept you as its newest member...as long as you show you are willing to turn from the dark side! I beg to differ on one point.... that any IoE would be happy to accept a new member... because that implies that there's nothing "exclusive" about them. If anyone can be a part of it, then there's no guarantee of a standard of excellence. If a person is looking to island-hop, they may need to do more than expand their horizons, they may need more.... sun exposure, we'll call it... by getting out there and soaking up some new ideas and consciously making the effort to BE excellent. Then those other island-dwellers would be more welcoming... (tropical) birds of a feather want to flock together, and all that. Nice blog. 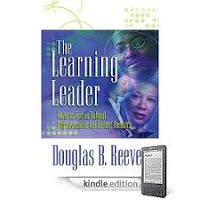 I read The Learning Leader about six years ago and refer to it often. It is extremely well written, as you stated, and he has a chapter in there about our unfair grading practices. This was an "a-ha" for me when I read it and it really changed my thinking. In terms of the Island of Excellence, reflection is at the heart of our practice. The moment we stop reflecting AND acting upon our thoughts, we risk the danger of becoming a permanent resident on an Island of Weakness. Much success to you!